Fire safety is one of the most high pressure and significant components of healthcare facility management. The reality is that there is no room for error; you must do everything in your power to keep your patients safe. From 2007-2011, there were about 2,600 fires per year in nursing homes and 1,200 more in hospitals, the National Fire Protection Association (NFPA) found. Those fires led to 140 injuries per year and three deaths — along with nearly $18 million in annual property damage. The people inside these facilities — unlike a shopping mall, school, or sporting arena — are often sick, disabled, or elderly. 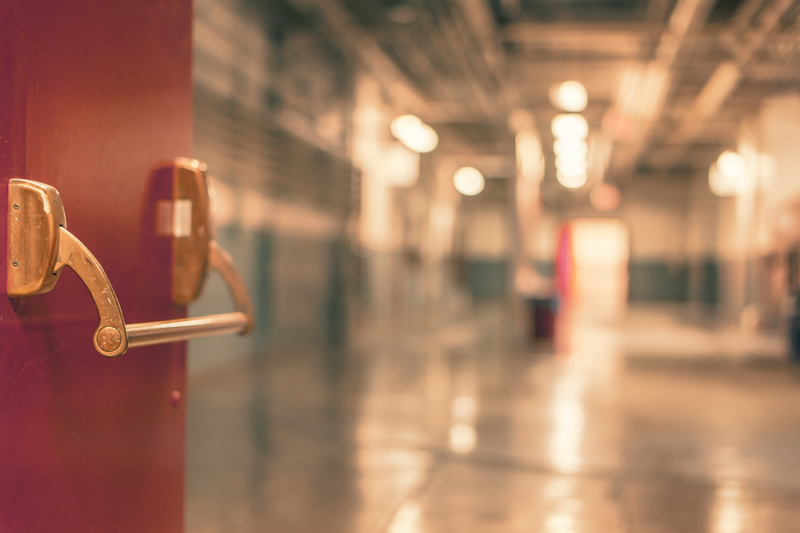 Facility managers must therefore be vigilant in keeping their patients safe. Luckily, attention to detail and routine safety checks can help to keep fires under control or prevent them altogether. The number one cause of healthcare facility fires is cooking equipment. The NFPA’s last comprehensive survey across the industry (from 2006-2010) found that 61% of fires originated from equipment in the kitchen. Unsurprisingly, a 2009 study by the Federal Emergency Management Agency (FEMA) found that the peak times for fires lined up with the periods when kitchen staff prepared meals. One peak started around 8 a.m. with a second peak beginning at 4 p.m. The good news is that these fires rarely left the kitchen, often contained to the appliance where the fire began. What’s the best way to prevent cooking equipment from causing fires in your healthcare facility? Avoid grease fires by emptying appliances’ grease traps on a regular basis. Store any flammable liquids, oils, or other items far away from cooking equipment. Clean grills and grill ducts regularly to ensure that nothing that flammable can fall into cracks and gaps. Check all electrical cords for frays or tears. Keep portable fire extinguishers (including dry chemical extinguishers) close by and ensure that your staff knows how to operate them. In addition to routinely checking the kitchens, especially during meal prep times, make sure that your staff is fully aware of your facility’s fire safety plan. If fires do occur, employees need to be able to react calmly and quickly so that the fires do not spread beyond the kitchen. Cooking fires, despite occurring often, are usually confined to a single appliance or room. The same can’t be said for fires caused by electrical malfunctions. FEMA found that one out of five non-confined fires (fires that spread beyond their point of origin) were the result of broken wiring or overloaded outlets. The report found that “general materials,” which includes the insulation that surrounds the electrical wiring, was the leading source of ignition for these fires. As healthcare facility manager, your facility’s electrical setup therefore cannot be overlooked. Like kitchen fires, these electric fires can be avoid. Many fire departments recommend avoiding the use of extension cords whenever possible. Instead of relying on a cord to connect an appliance to an outlet, move the appliance or install a new outlet. Think of the extension cord as a temporary solution, not a permanent one. Cords that do need to be used must be in good condition and need to be away from flammable materials. Do not run a cord through a window, wall, or doorway — and do not put it underneath a carpet or rug. Are any cords split or cracked? Are any plugs in bad condition? Are any cords or plugs overloaded? Are cords in an area where they could be stepped on? Multi-plug adaptors, which allow several appliances to be plugged into the same outlet, run the risk of overloading the outlet. Make sure that certified electricians are the only ones who are setting up, monitoring, and maintaining your facility’s electrical system. Smoking in healthcare facilities is never a good idea, but this is especially true in close proximity of oxygen-dispensing machines. Earlier this year, a patient attempted to light a cigarette while receiving oxygen. She was treated for minor burns, and the fire was contained due to a quick response by the local fire department. This is particularly dangerous because when there is more oxygen in the air, fires can burn easier, quicker, and hotter than usual, according to the NFPA. Urge your staff to smoke cigarettes far away from oxygen machines. Smokers should also use “deep, non-tip ashtrays” to ensure that stray burning cigarettes don't mix with oxygen-enriched air. About two out of every three healthcare facility fires in 2007-2011 had automatic extinguishers present, the NFPA found. The organization recommends wet-pipe sprinkler systems because they discharge water immediately as soon as the sprinkler detects the heat of a fire. While these sprinklers are more common than they were in decades past — they were present for less than half of the healthcare facility fires (47%) in 1980-1984 — there is still room for improvement. The advantages for including wet-pipe sprinklers in your facility are numerous. When sprinklers operated effectively in the fires studied by the NFPA, 92% were confined to the room of origin. 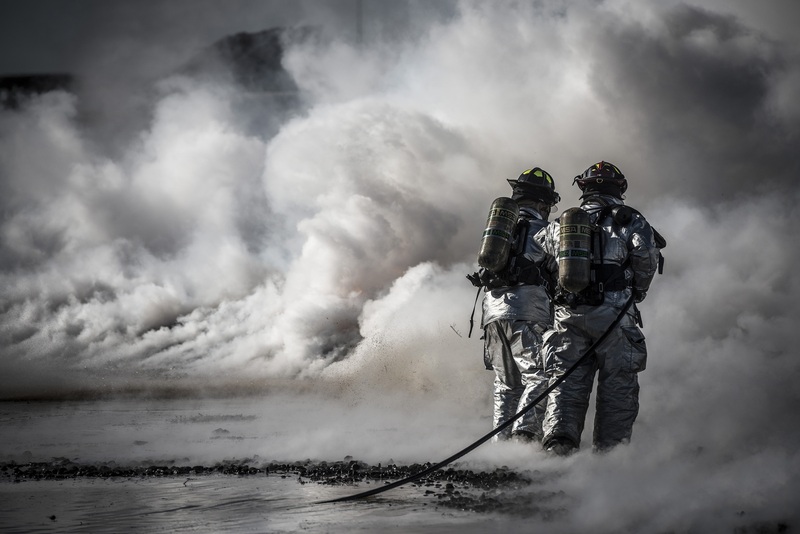 The property damage per healthcare facility fire was much less when wet-pipe sprinklers were used, the NFPA found: $5,000 per fire with the sprinklers, compared to $14,000 without them. While automatic sprinklers and extinguishers are important, it’s better to combine these with manual, portable fire extinguishers. Your staff must know how to use these extinguishers when needed. Are all extinguishers in the correct location? Are they easy to get to? Is anything blocking or obstructing them from view? Are any safety seals missing or broken? Are any of the extinguishers damaged on the outside? Are any of the nozzles leaking, corroded, or clogged? Are pressure gauge readings in proper position? Are the instructions easily seen and legible? Are the extinguishers full? (Test by lifting and/or manually weighing). If any extinguishers fail the monthly visual inspection, replace them immediately. In addition, be sure that you bring in a certified inspector to perform more in-depth annual maintenance. Hospital facility managers must create and distribute a fire safety plan that details what to do in an emergency. All employees need to stay calm and be on the same page if a fire occurs. Extinguish small fires only; leave major fires for the fire department. Facility managers must own this safety plan and ensure that all staff are trained and fully aware of their responsibilities. Regularly perform fire drills and review meetings to keep this plan top of mind. Fire safety in healthcare facilities requires vigilance and routine monitoring on the part of the facility management team. The seemingly monotonous practice of regularly checking cooking equipment, electrical wires, oxygen tanks, and fire extinguishing equipment can absolutely make the difference between life and death. For a concise summary of these strategies and more information, download the New England Fire Code Guide.